Mark Clark, age 60, died peacefully at his home in Yukon on Sunday, September 30, 2018. He was born September 23, 1958 in Wynnewood, Oklahoma to Clifford Clay and Leota (Whiten) Clark and grew up in the Chigley community near Sulphur. He attended school in Sulphur and graduated in 1976. He proudly served his country in the US Navy on the USS Samuel Gompers as a Boatswain Mate, Petty Officer 3rd Class with specialty of Crane operations. He attended Mid America Career Tech Center, graduating in 1995 with a degree in drafting and design degree. He worked as a machinist with Halliburton from 1981-1986 and then 22 years with the FAA at Mike Maroney Aeronautical Center. While at FAA he was a machinist and then Manager of the Machine Shop. He served from 1997-2001 on the Advisory Committee for Mid America Technology Center. He also taught part-time Drafting and Design at Vatterott College and obtained specialized training in ISO-9000 and worked part-time as an audit or. He loved playing basketball in high school and golf at Sulphur Hills Golf Course as well other courses across the state. He participated in the BPOE(Benevolent and Protective Order of Elks), holding numerous positions on the local and regional levels. Mark developed long lasting friendships with many people and was always the life the party with his jokes and and memorable tales. He was very proud of his Chickasaw Indian Heritage and becoming a member of the Chickasaw Warrior Society. 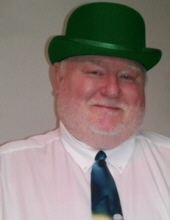 He was also proud of his Irish heritage and loved St. Patrick's Day. Many people were inspired by his ability to cook, whether it was to cook for the Cub Scout Blue and Gold banquets, school or church activities, sports, work events or just holidays; family and friends always knew Mark's cooking would leave them full and content. He was preceded in death by his parents, step mother Dillah Clark, half sisters Virginia Hill and Tobey Noland, half brother Bill Whiten and step brother Delmer Bryant. He survived by his wife of 37 years Pamela of the home, daughter Jennifer Anne Clark of Oklahoma City, son Clifford Clay Clark Ill of Yukon, step brother Bo Bryant of Moore, step sister Bobbie Smallwood of Norman and numerous nieces and nephews. Visitation will be held at McNeil's Funeral Service, Mustang, OK from 1pm until 8pm of Tuesday, October, 2, 2018 with Graveside Services at 11am on Wednesday in the Oaklawn Cemetery, Sulphur, Oklahoma. To send flowers or a remembrance gift to the family of Mark Clark, please visit our Tribute Store. "Email Address" would like to share the life celebration of Mark Clark. Click on the "link" to go to share a favorite memory or leave a condolence message for the family.